Inside Muddy Waters, a bohemian establishment on Valencia just south of 16th Street, Najat Echchoukairi prepares a man’s drink while he tells her and the owner of the coffee house that his father just recently celebrated his 100th birthday three weeks ago. “He’s really old,” the customer said. “Exactly: Scotch, every day,” the man replied. There’s a comfortable rapport between Echchoukairi and Massarweh that speaks to the 14 years they’ve worked together. Massarweh also runs a second cafe further south, near 24th Street. 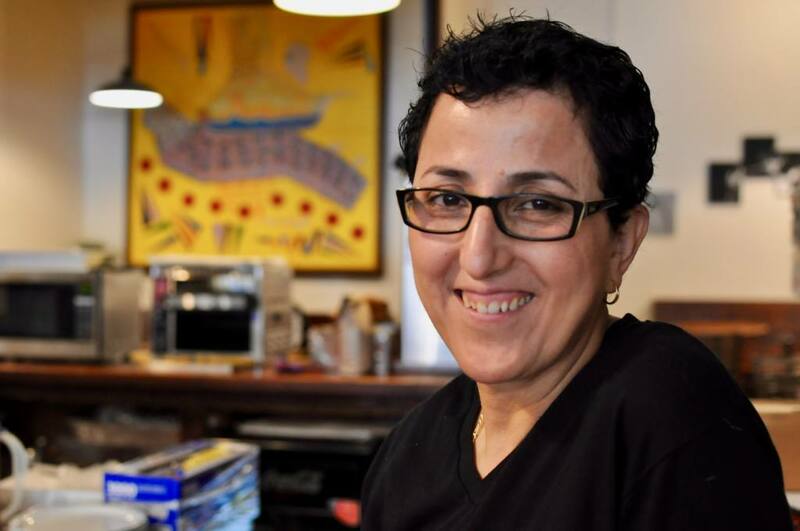 It’s a relationship that extends to the customers, many of whom have been coming in for years to the coffee shop that celebrates its 28-year anniversary this month. Together, owner, manager and customers have watched the changes in the café culture. Najat Echchoukairi. Photo by Jennifer Cortez. In the ‘90s, Massarweh said, Muddy Waters welcomed a tight-knit community that spent time discussing politics and issues that affected San Francisco. Echchoukairi said that it was around the time of the recession in 2008 that she noticed a difference in the café’s customers. 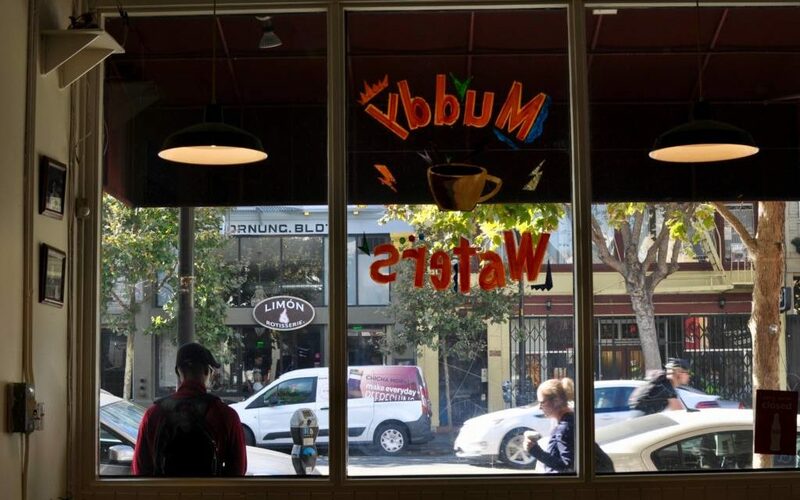 One young woman stops by Muddy Waters after her yoga session at a nearby studio to use the café’s Wifi as she searches for employment opportunities on her laptop. “You will find a place. Trust me, you will,” Echchoukairi said. Another young woman enters the coffee house and the barista notices a volunteer badge on her shirt, discovering that her new customer volunteers at a nearby hospital. “Keep doing it,” she said. No matter that some of her long-time customers have left the neighborhood, she tries to connect with others to maintain a sense of community. When a customer is short a few dollars or simply can’t afford a hot cup of coffee, she lets them know they can pay her later. Some of her new customers share the pay-it-forward spirit. Conversely, customers have also stolen under Echchoukairi’s watchful eye. She recalled a day in which she had six individually wrapped sand cakes on the counter and a woman entered the coffee house to ask for a glass of iced water. She said she didn’t see the woman for about three months. Then, the woman came back to Muddy Waters in tears. She promised that she would pay her back, and Echchoukairi reassured her to not worry about it, but the woman insisted. 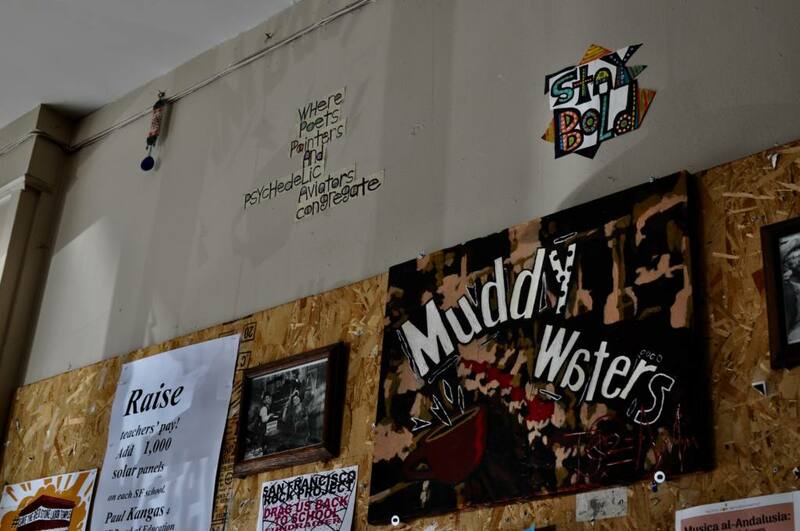 Allen Kizziah, a former owner of a comic book store in the Mission, has frequented Muddy Waters for more than a decade. 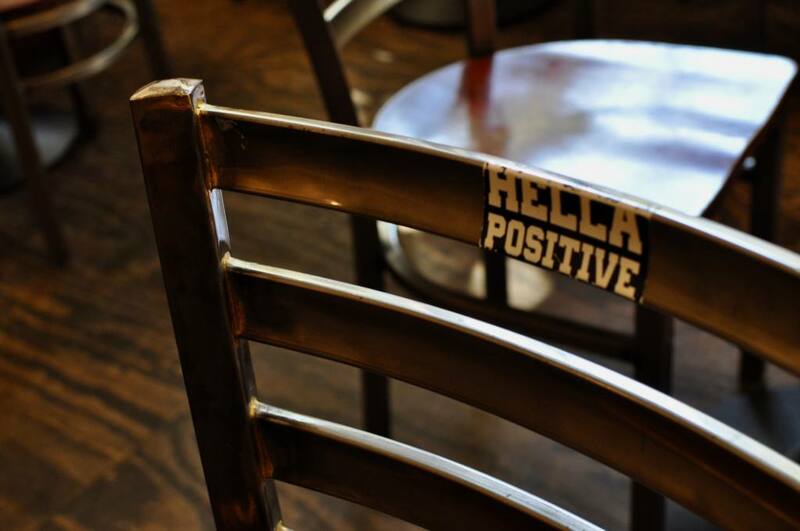 While he no longer lives in California, when he visits his hometown, this is the mom-and-pop coffee house in the neighborhood that continues to be one of his stops. Some Muddy Waters history. Photo by Jennifer Cortez. A chair at Muddy’s. Photo by Jennifer Cortez.